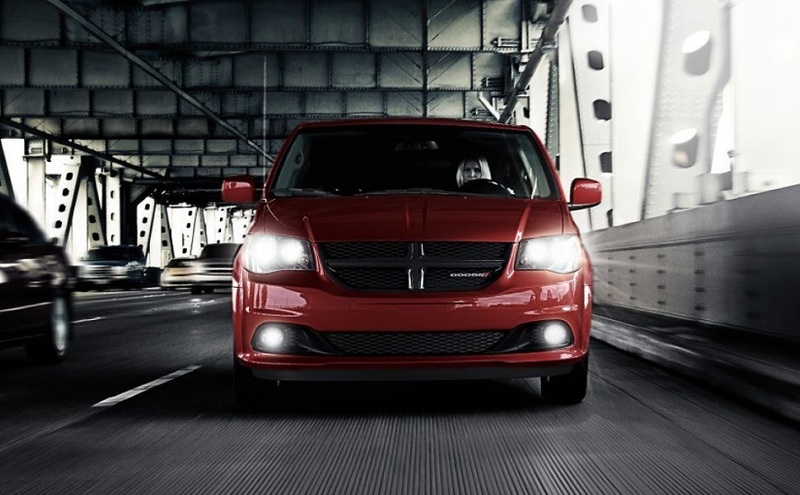 The 2019 Dodge Grand Caravan delivers the whole package of maximum performance, ultimate compatibility, superior technology, and safety and sleek features inside one vehicle. Starting at $26,250 with a MPG City 17 and Highway 25, this popular family minivan is available in the SE, SE Plus, and SXT trims. Cruise through Long Island, NY in Octane Red, Billet, Granite, Indigo Blue, White Knuckle, or Black Onyx color coats. This vehicle also has many family-friendly features that help keep the family safe during an event. Pick up your next Dodge at Security Dodge, serving Amityville Westbury Massapequa Long Island New York. Drive in style on the 17-inch polished aluminum wheels with gloss black pockets that shine brightly while making a turn. The caravan will smile at oncoming traffic with the gloss black crosshair grille sporting the exclusive Dodge badging on the front. Both features come with the Blacktop Package. This package also includes powerful fog lamps that light up the path with ease. Take a look at your clear reflection in the heated power mirrors that will melt the ice away during the winter. No more worrying about the sun shining in your eyes because the standard sunscreen glass will block out those annoying sunrays. If the rear cargo space is not large enough, then you can use the cargo carrier on the roof. Just hook your luggage to the Stow N Place black side rails and continue on the trip. 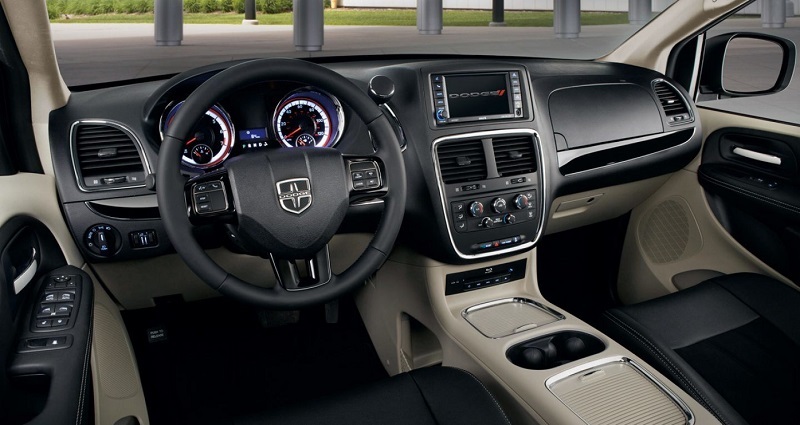 These are some reasons you should choose the 2019 Dodge Grand Caravan on Long Island. 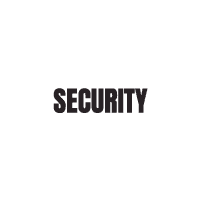 Get your new caravan at Security Dodge serving Amityville Westbury Massapequa Long Island New York. Enjoy the Single DVD Entertainment System equipped with wireless Bluetooth connectivity, 430 Radio, and multiple entertainment apps on a 6.5-inch touch screen. Access the Garmin navigation system with Sirius Travel Link to get directions where you need to go. Voice command is available for pulling up information instantly and hands-free calling. When the glove box opens, you will be presented with a USB port for charging up mobile devices. There are also 12-volt auxiliary power outlets in the rear for the passengers to use. When it comes to style, if you choose the SXT, then you can cruise around the city in a black Torino leather trim with various suede and silver accents. Place your hand on the black leather steering wheel and ride in style. Speaking of spa-like relaxation, comfort is taken to the next level with the Three-Zone Automatic Temperature Control for balancing out the climate inside the cabin. 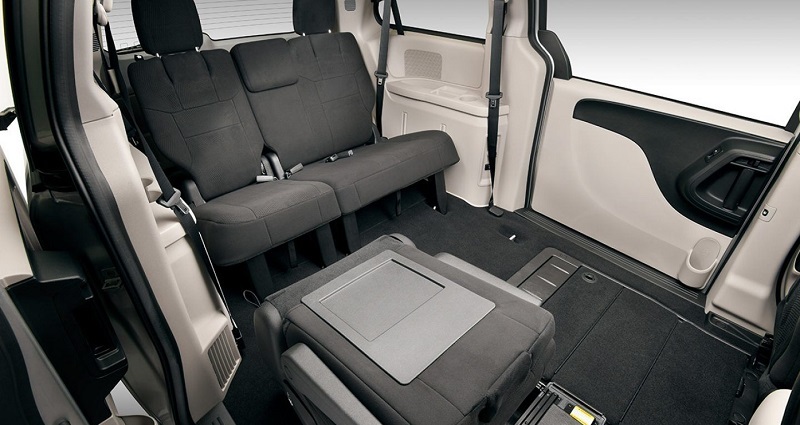 Making room in the rear is no longer an issue because there is a Stow N’ Go seating area that is capable of folding flat at a 60/40 split that produces more than 140 cubic feet of extra space. The cabin is so large that up to seven people can fit inside the vehicle. Not only is this vehicle suited for families, but businesses can use this caravan for transporting heavy-duty tools without damaging the vehicle. There are multiple front-seat storage units and an overhead bin. Enjoy the deep glow from the dimmed LED reading lights. The 2019 Dodge Grand Caravan on Long Island is there for the taking! 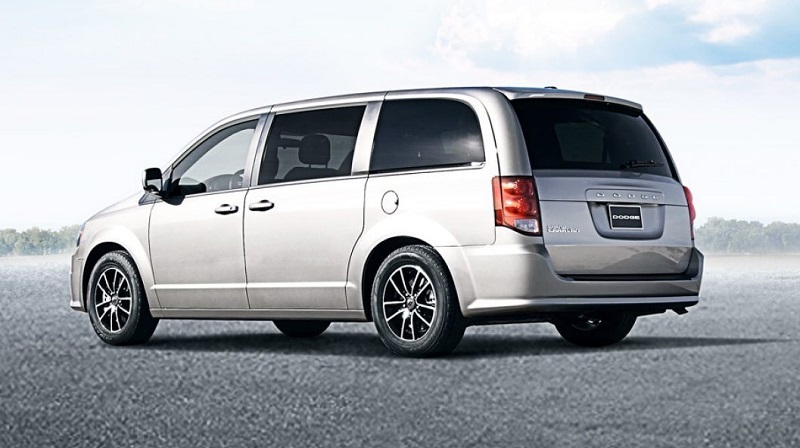 The 2019 Dodge Grand Caravan is one of the most versatile vehicles in its class. There is a power liftgate that will pop open with a touch. Power windows will let upon your command. Moreover, this popular caravan has power sliding doors that open automatically. The power front seats could be reclined back or forward depending on the driver’s or passenger’s discretion. There is an all-speed traction control system that monitors and fix any wheels slips. Brake pressure will apply and reduce the power for better traction and stability. We cannot forget about the Electronic Stability Control which monitors the steering and creates directional control while on wet and icy roads. The 2019 Dodge Grand Caravan on Long Island will perform great in the winter! Zoom down the road with the power generated from an award-winning 3.6 Pentastar Fuel-Flex VVT V6 engine. It produces 283 horsepower and 260 lb-ft of torque. Making turns with a trailer in tow is effortless thanks to the Trailer Sway Control system. It has various sensors in the rear that detects if an excessive amount of swinging happens and takes measures to reduce the motion. Dodge is living up to its name! Safety is taken to the next level because there are child protection locks on the rear door. Children cannot open them unless an adult releases the lock. However, they can enjoy the second-row power windows controlled from the driver’s seats. If they get antsy, there is an observation mirror above the rear-view mirror to keep an eye on the little ones during the road trip. Backing up the vehicle in a tight space is no problem because there is a full backup system using a parkview backup camera with a wide-angle that displays the contents on the navigation screen. The active front seat head restraints will actually move the seat in the event of a collision to reduce spine and neck injuries. 7 airbags will deploy in all directions to help keep the family safe during an impact. We would love to see you take this caravan out for a test drive. Get your new and improved 2019 Dodge Grand Caravan from Security Dodge, serving Amityville Westbury Massapequa Long Island New York!